2013 is, for me, the best year in television I remember in recent years. The TV renaissance, of course, started a few years ago when HBO Originals and AMC shows started influencing pop cultures and playing with the networks in ratings and popularity. But I didn’t feel it until 2012 when, all of a sudden, I simply had no day without TV shows. Both television from the US and the UK gave me more quality stories and performances than many films released this year. I had a hard time compiling the list because it took me a while to decide on which stuff to put in the list, seeing as there are so many of them I watched this year, including old series that have gone off air (but continue to live on home video, like Spooks). A few people might be surprised to know that I watched close to 40 titles of TV series (though not all of them complete). Note: I pick TV shows based on what I see this year and all the ones I put in the favorite are the ones I followed week-by-week. The TV shows I put on the list may include the second half of last season (for fall 2012-2013 shows) or only the first half of the new season (fall 2013-2014 shows). By far, this is the absolute best TV series I followed in 2013. Here’s why. 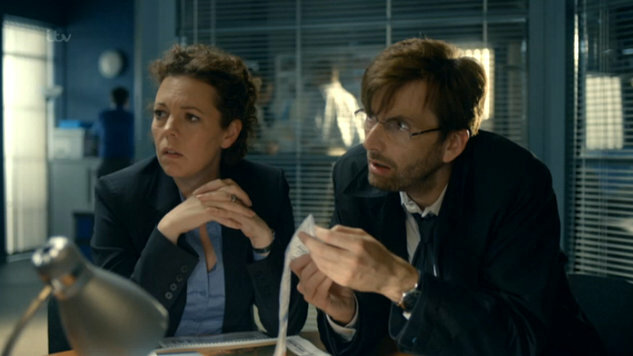 David Tennant might be the one who’s going to the US for the remake, but Olivia Colman is the most interesting actress playing the most interesting female character on any TV show. And she killed it in the last episode. Absolutely flawless. I have no complaints. If you haven’t watched this show, please do so ASAP. You won’t regret it. I don’t know where to begin to tell you why I love this show. Perhaps because all of the characters are great. Maybe because it’s been a long, long time that there’s a supernatural show on TV that excites me. Not to mention the series has a very filmic quality to its production, particularly the cinematography and storytelling… and naturally I have a huge crush on Tom Mison and Nicole Beharie. 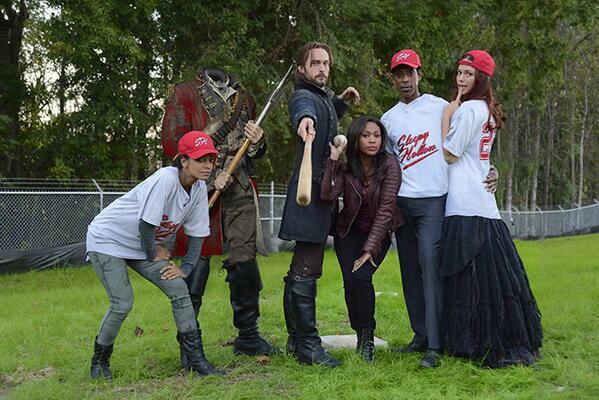 Sleepy Hollow is magically irresistible. This is a folding cover. So Bilbo’s picture can be folded inside so that you get double The Hobbit covers. Last year we did Gandalf & Bilbo. This year, we decided to do Thorin and Bilbo because everyone in the office really liked Thorin’s pose (but Bilbo is a must). More info on Total Film Indonesia #49. 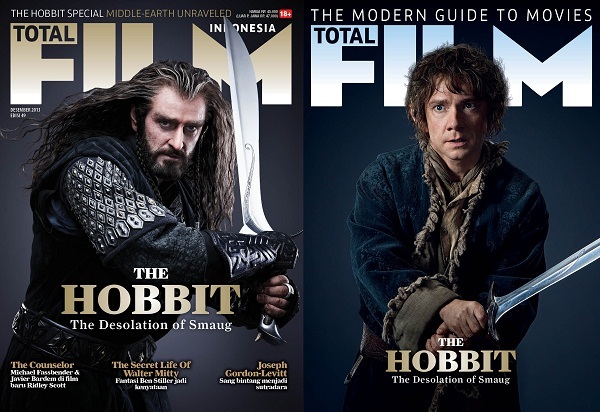 Richard Armitage (only) feature on Total Film Indonesia issue #49. Do not use without permission. At more than six feet tall (according to his IMDb page, he’s 1.89 meters tall), Richard Armitage is as far from a regular dwarf’s height as possible. And with his calm and courteous attitude, he’s also far from villainy as possible. However, for some reason we can’t quite fathom, he has never been cast as a straight-up protagonist before being hired by Peter Jackson to play dwarf king Thorin Oakenshield. Just look at his Guy de Gisborn in the Robin Hood TV series, Lucas North in Spooks and Heinz Kruger in Captain America: The First Avenger (for those of you who didn’t notice him, he’s that guy who shot Stanley Tucci’s Abraham Erskine after Steve Rogers got buffed up by the super soldier serum).